The eternal question I get from my visitors is: Ooooh, where should we go on your days off? I’m not the type of person to sit still on the weekends so long as there is sunshine, half a tank of gas and someone to watch the ever-changing highway signs for me. 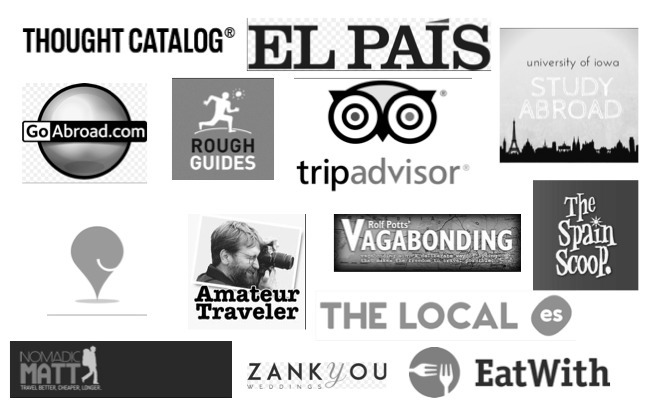 Tobes works in the travel industry, so when we went down the list of obvious choices (Granada? Nah, was just there. Portugal? Let’s skip it because of the holiday weekend.) Nothing really stuck out at us. It was time to get Señor Google involved, and the page rank spoke: Pueblos Blancos. 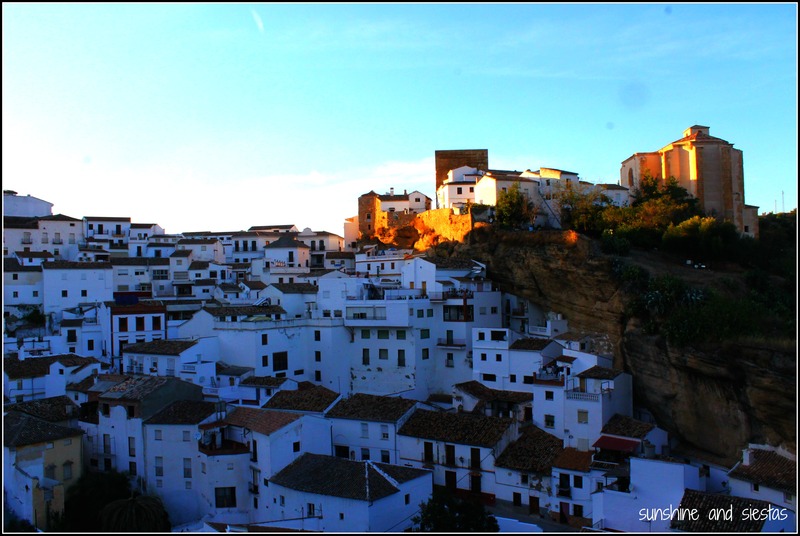 The white villages, known as pueblos blancos, are a string of whitewashed villages perched on mountains and in valleys in the Cádiz and Málaga provinces. Many, like Ronda and Grazalema, are quite well-known. There are two dozen of them, and I can count the number of them I’ve been to on one hand. Once she’d recovered from jet lag, we hopped into my car and drove south out-of-town. Once you hit Puerto Serrano, towns begin to pop up in the distance as small white blips on a mountain, reached by snaking roads over hills and through farmland. 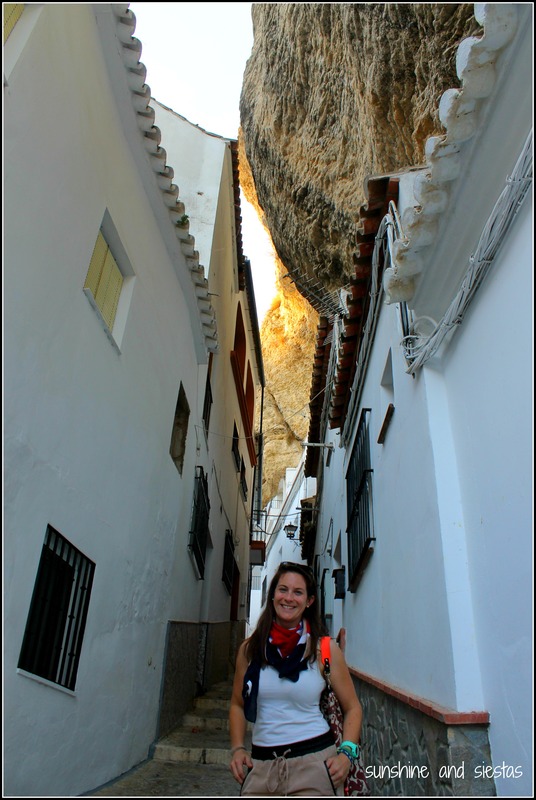 In a last-minute decision, we stopped in Ronda for libations and to stretch our legs, and while we could have spent the entire afternoon callejando, I had been intrigued by a village I’d seen on Trover – Setenil de las Bodegas. Could you imagine going outside to see if it’s raining but come face to face with this rock? Tobes and I arrived at the merienda hour, when people were beginning to wake up from a Sunday siesta and head to the streets. The road that leads into town immediately shoots you onto a one-way street that winds through homes and uphill. Seville is as flat as Illinois, so we had several small scares as I tried not to stall or roll down the hill. 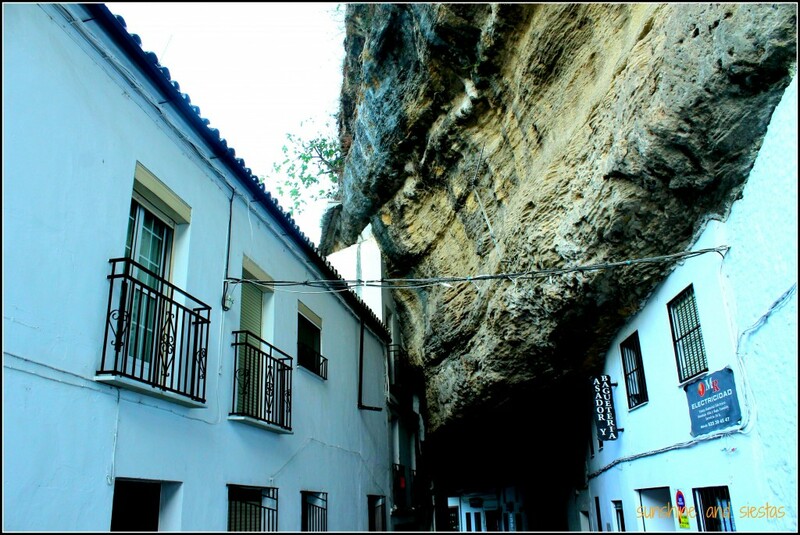 Setenil has just over 3,000 residents, though very few of them actually have houses built into the rocks. Apart from this alleyway, calle Jabonería and calle de las Cuevas de la Sombra are the only evidence of that this village has a claim to fame. You can drive under some of the overhangs, but we found that people weren’t willing to corral their dogs or small children or move out of the street for you. We did climb to Calle Cerrillo, home to the San Sebastian hermitage and the supposed place where Isabel I of Castille (the most badass women in Spanish history) gave birth to a stillborn child of the same name. The sun was setting behind the mountains, turning the gorges golden and the buildings a dreamy off-white. For a town with a rich history (Romans! Arab fortresses! Catholic Kings!) that’s known for its gastronomy, we left pretty disappointed with Setenil. The town was shabby, the locals indifferent to visitors and I saw very little encanto. The town is a mere 20 minutes from Ronda and 20 more from El Gastor, so don’t go too far out of your way to visit – hit Vejer, Olvera and Arcos de la Frontera instead. I was in Mondoñedo this weekend (rural Lugo province), and while it has a monumental Romanesque/Baroque cathedral, a famous local cake, and pretty streetscapes…it was just weird and kind of creepy. Not every Spanish pueblo is beautiful and charming, and that’s okay! I agree that Carmona is def a good place to go. Aw, and you know how much I loved Mondoñedo. Para gustos, colores as they say! A historical curiosity: A little population of “britones” was between Orense and Asturias since IV century (look at wikipedia). A mention of them appeared at San Martin de Mondoñedo at XIII century. Very interesting! I hiked thru Mondonedo during the Camino de Santiago: http://sunshineandsiestas.com/2014/02/10/medieval-city-of-mondonedo/ Thanks for sharing! 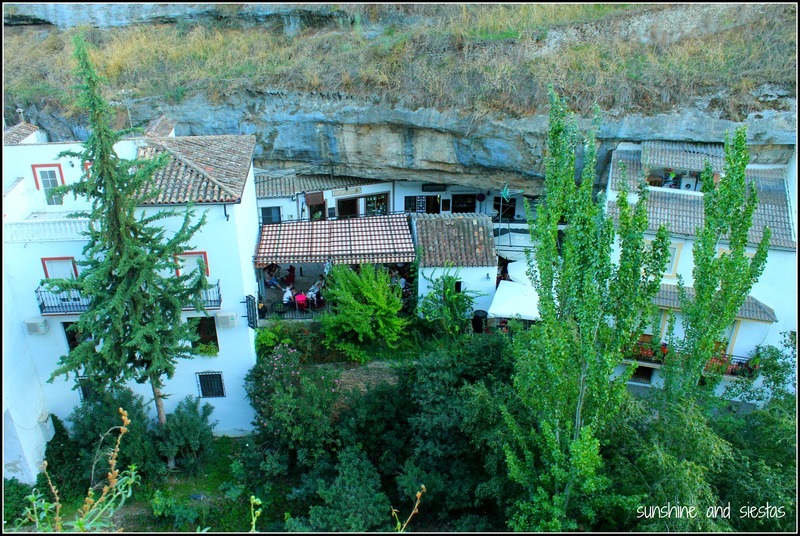 I’ve been to Ronda before and loved it, but I haven’t made it to any of the surrounding pueblos. It’s definitely something I’d love to do though. Thanks for the heads up on Setenil de las Bodegas! I won’t be rushing there anytime soon. Nah, it’s not that’s it’s a bad place to go, but it wouldn’t be my top choice. I’d choose one of the larger cities where the is more to do and locals are a bit more apt to do more than stare you down! I always wanted to get to Setenil de las Bodegas, good to know I will only need an hour or so there rather than a whole day! 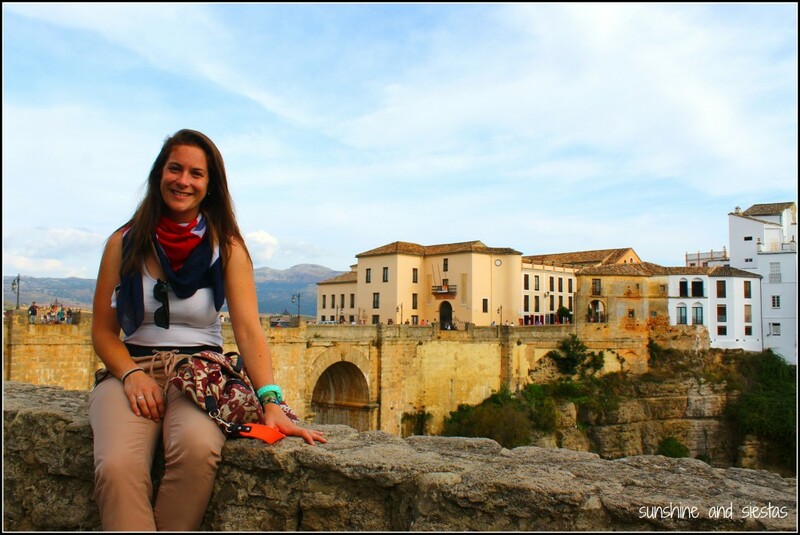 One of the destinations I love in Andalusia is Priego de Cordoba. The locals there had the streets impeccably set out. The plantpots were all matching! El barrio de la Vila had a photo opportunity in every corner. It had great views from Balcon de Adarve, Arab baths and a fortress too. Hi Molly, yep, just a quick jaunt will suffice, unless you find a place to sit and have a drink (I was driving). 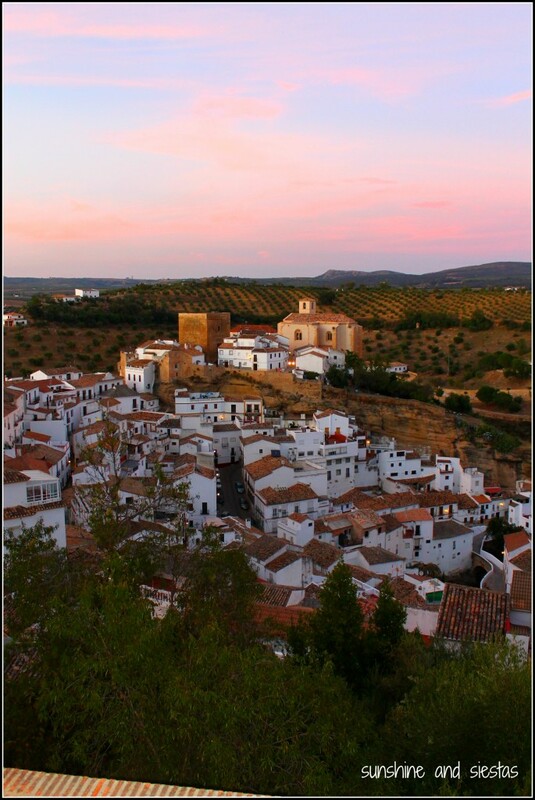 I’ve had loads of people tell me Priego is lovely – I’ll just have to get there before the olive trees blossom! Oh that’s too bad. You would think a town with buildings built partly into the rock would be a bit more interesting. I’m not expecting anything earth-shattering but maybe a small exhibit about the history of the town or something? I’ve only been to Mijas outside of Malaga, not a happening place either but the views of the surrounding landscape/Mediterranean are amazing and I remember there were donkeys you could ride. Yeah, nope. There wasn’t much going on (granted, it was Sunday afternoon just after siesta), but I expected a little more, especially given the history and topography! I live in Cádiz province and love visiting the pueblos blancos. My boyfriend’s grandparents live in Olvera so we’re there all the time and I once had the bright idea to bike from there to Coripe to Puerto Serrano to Villamartín. Exhausting. I liked Setenil when I went there and was surprised to see the title of this post, but when I made it to the end, it made more sense. If you haven’t been to the others, there’s no reason to make Setenil your first stop. 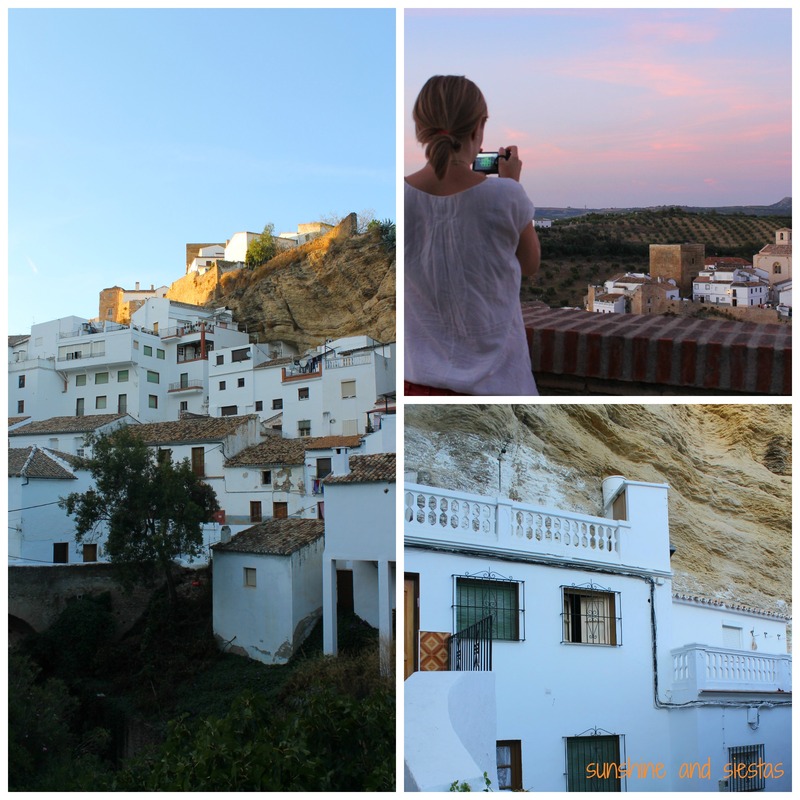 My pick is Zahara de la Sierra for the awesome views while climbing up to its castle. I really just love Cádiz. My father-in-law highly recommends Ronda. He said we have to put it on our itinerary when we visit. Have you been? Me, I don’t mind where we go, as long as we’re seeing something interesting! Linda Bibb recently posted..Singapore Night Safari: Is It Worth It? I have, Linda – it’s lovely! Since it’s a larger town, there are more amenities for travelers. It’s definitely worth a day! Nice, honest post Cat! I haven’t been to that pueblo before but had heard of it. Good to know I won’t need to spend long whenever I finally go. I was just in Frigliana a couple of weeks ago which was all glorious, white and lovely. Have you been there? Good post. Doubt anyone’s blogged about this pace before! josh recently posted..Una InquisiciÃ³n EspaÃ±ola: Nyu de Brighton! I have heard so many wonderful things about Frigiliana (mostly from Diana, haha). I’ll make it down there eventually. I was originally drawn to Setenil because of the rocks, but if I went again, I’d try and go at a different time of the day. I have yet to see the Alpujarras, mind you! !